Working in a 21st century work environment requires a lot of balancing. We are often taking work home, sending emails and completing projects well into the evening. Since our work extends beyond our workplace confines, we need to be pragmatic with what we decide to work on first, second, third, etc. This modules teaches the importance of how to prioritize so we focus on important things first. How do you know if something is urgent or important? Do you put emphasis on the urgent things, or do you focus your energy on what is important? Write down three of the most recent task you’ve done at work. Using a scale of 1-5, with 1 being least important and 5 being most important, rank each task accordingly. Next, thoughtfully evaluate what you listed. Are the tasks 5-level important or are they just urgent? Read an article that brilliantly explains the Stephen Covey prioritization matrix. Use a visual of the prioritization model to assign current workplace tasks. 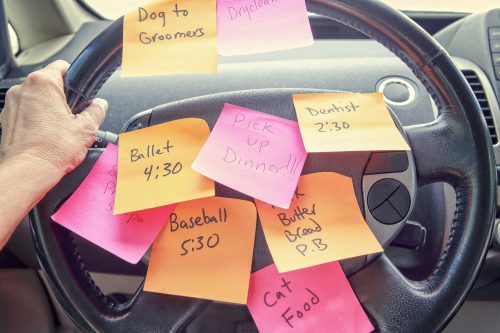 Create a visual of the weeks / months tasks to better understand where attention need to be prioritized.